With DATRON dispensing systems you can bond materials precisely, with high strength and durability. The standards for new products with regard to stability and reduced weight are constantly increasing. On part of the manufacturing technology, this leads to completely new challenges in the area of automatic gluing. 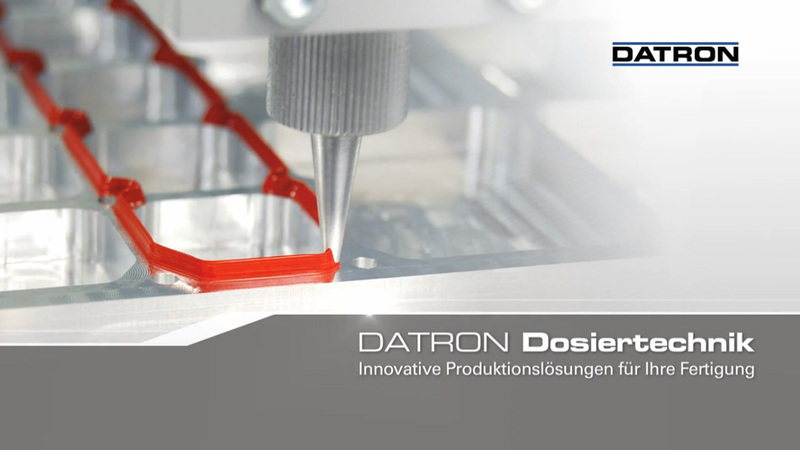 The volumetric dispensing systems from DATRON are setting new standards and are meeting the increasing demands for the reproducibility of position, shape and volume of the applied adhesive, sealant or casting material. Our highly precise DATRON dispensing systems ensure optimum production quality with a maximum level of process reliability. Through the integration of the dispensing head in the path control the applied amount has always a precise volume, irrespective of the dispensing speed and the flow properties of a material. All common 1-component sealants, adhesives, cast masses, EMC shields, hotmelts or abrasive materials can be applied process-safely this way - even in very thin beads. In the critical starting/stopping areas, we ensure optimal transitions thanks to special control functions.